Cleaning of shopping centers or shopping complexes can be one of the biggest challenges facing professional window cleaning services. Shopping complexes are highly busy places where there are constant footfalls. Carrying out cleaning and maintenance activities in the midst of incessant movement of men, materials and equipment can be a nightmare for those involved in the cleaning process if they are not trained for the job. That’s why window cleaning of shopping centers must be handed over to professionals. Shopping complexes generally have a numerous windows to bring in natural light and also to display the various items being sold by the shops housed in such complexes. It is crucial to keep these windows free of layers of dust and grime but that can be a hugely challenging task for in-house cleaning and maintenance staff. Hiring professional window cleaning services specializing and experienced in cleaning windows of shopping centres and complexes can be a smart move. The best window cleaning service is one which can be flexible in their working hours and approach to the job. 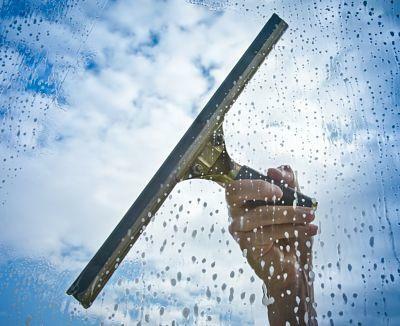 Quite obviously, it is not possible to carry out window cleaning work of any shopping complex during business hours. Weekends are also ruled out for the task because the place can be unusually crowded on weekends. The only way window cleaners can do a thorough and well-planned cleaning job is to work after business hours, which means working on the windows late night to early morning. Planning is of utmost importance when it comes to window cleaning of shopping centers. As there will be large number of windows involved of every conceivable size, you must choose a service provider who has highly experienced cleaning staff and the right kind of tools and equipment to do the window cleaning job deftly and comprehensively in the quickest possible time. Shopping centers are large, sometimes multi-level buildings with large window panes for broader display of merchandise. Unless these windows are kept spotlessly clean, it can reflect badly on the reputation of the owners. 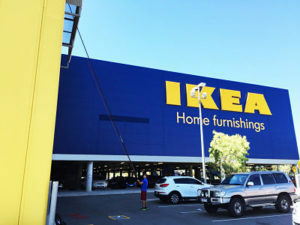 By hiring the best shopping center window cleaning specialists, they can ensure customers have a clear view of what’s on display. Window cleaning professionals with the latest cleaning tools and processes can ensure that the job is done quickly and with a greater degree of efficiency. They will also make sure that all required safety measures are in place while carrying out the job and will maintain the appropriate levels of insurance.